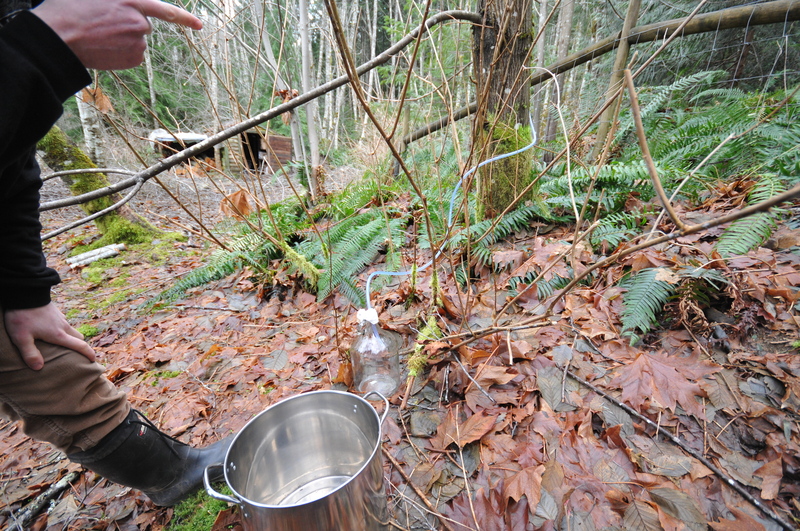 During our recent visit to Vancouver Island a friend showed us the simple art of making maple syrup. We don’t eat real maple syrup too often, but having it freshly pulled from the tree was too tempting to resist. Armed only with a large metal pot, we put our boots on and headed out the door. 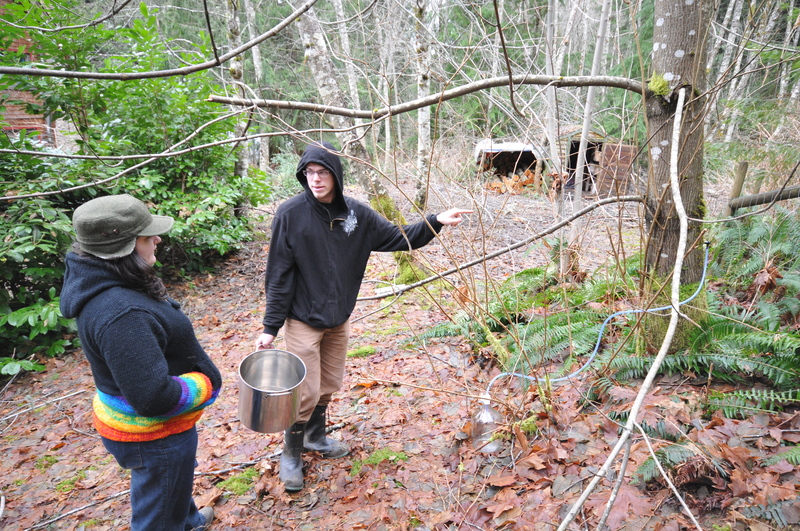 The owners had tapped a handful of bigleaf maple trees a few months ago and lines of PVC tubing were steady in place, dribbling fresh sap into large glass jugs. Our only task was to collect it and bring it back to boil. Our friend had already collected the sap a few days prior to our visit. At that time, thanks to some heavy fluctuations in barometric pressure, the sap was running out of the trees more freely. After he’d boiled down the drippings from 5 or 6 trees he was able to make almost a litre of syrup out of it. We’d eaten some of it that morning for breakfast and it was exactly how you’d imagine fresh maple syrup would taste, sugary and delicious. On the day of our syrup making lesson it was sunny, so the sap wasn’t running much at all. 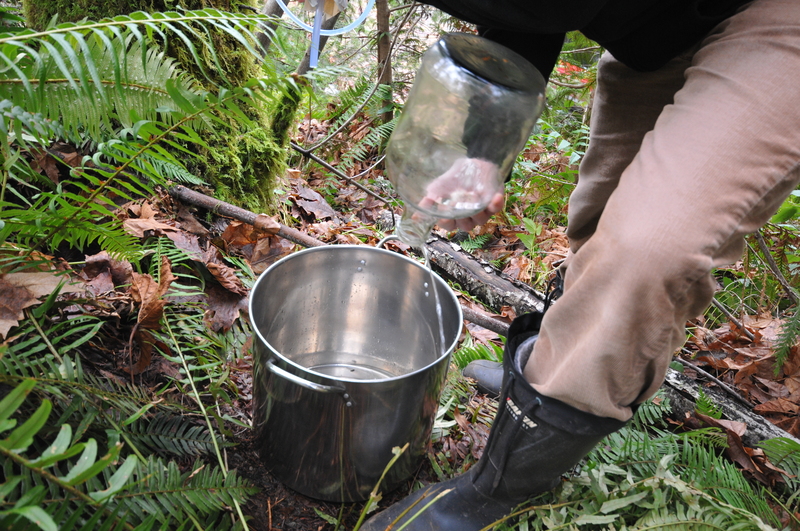 Nevertheless, we made the rounds to the half dozen tapped maple trees and poured the sap into our pot. In total we collected about 1.5 cups of clear, watery sap. I hadn’t known this before, but apparently the ratio of sap to syrup is about 40:1, meaning it takes 40 litres of maple sap to produce a 1 litre bottle of syrup. This explains why the stuff is so expensive. 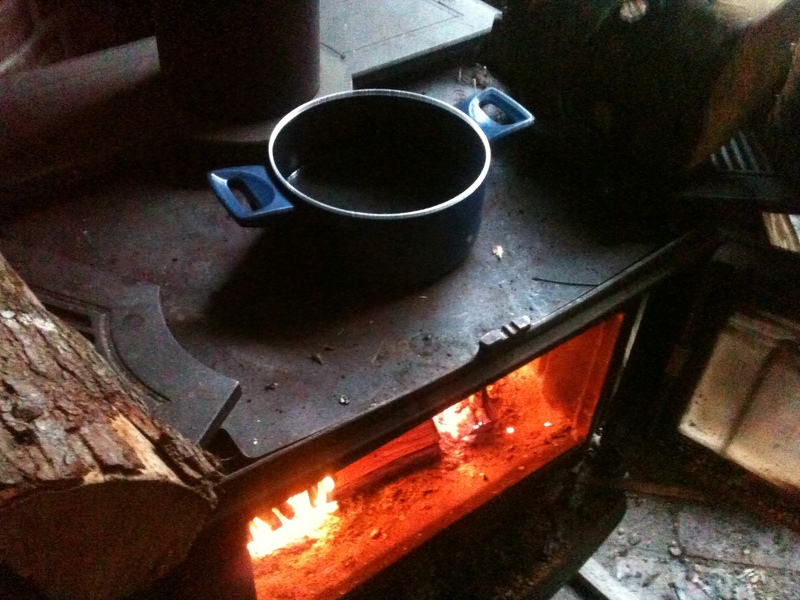 We transferred the sap to a smaller pot and left it on the wood stove to boil down for awhile. After about 4 hours of slow simmering the sap had transformed into a thicker, amber coloured syrup – about a tablespoon’s worth! 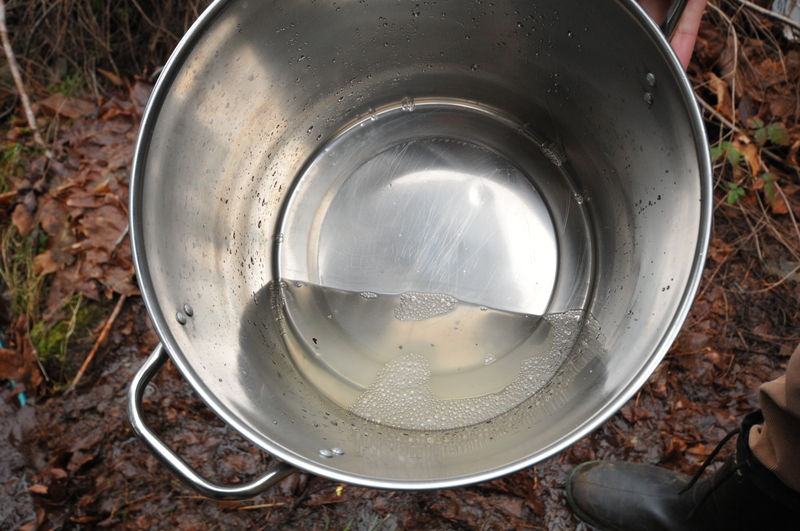 Even though we didn’t make much it was still neat to learn how easy it is to make maple syrup. One day, when I get my own plot of land, I’ll be sure to plant some bigleaf maples on it. 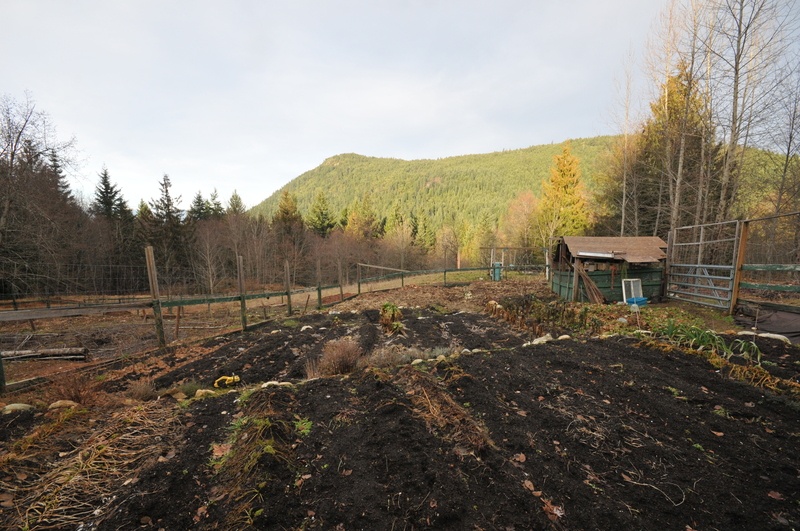 My husband and I recently took a trip to Vancouver Island to visit a friend who was house sitting on a farm. Our friend had worked on the farm many months before so he was already familiar with the required day-to-day activities and the owners needed someone to look after their chickens, dogs and gardens while they headed down south for some mid-winter sun. We jumped at the chance to visit him for a long weekend. 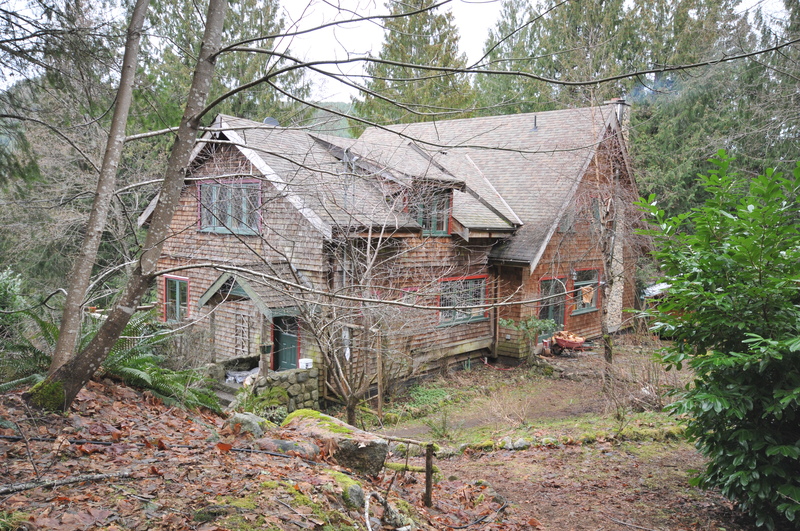 The farm was situated just outside the town of Duncan, down a logging road on a heavily wooded mountainside. The property, about 15 acres, was a mixed farm with a large farmhouse, a second smaller guest house, a varied collection of animal pens and coops, massive vegetable gardens, two greenhouses, and two healthy sized ponds full of fresh water. As a child growing up in Ann Arbor, Michigan, I spent many summers enrolled in day care on farms. Walking around the property, with their two large guard dogs by our side, really brought me back to my childhood. 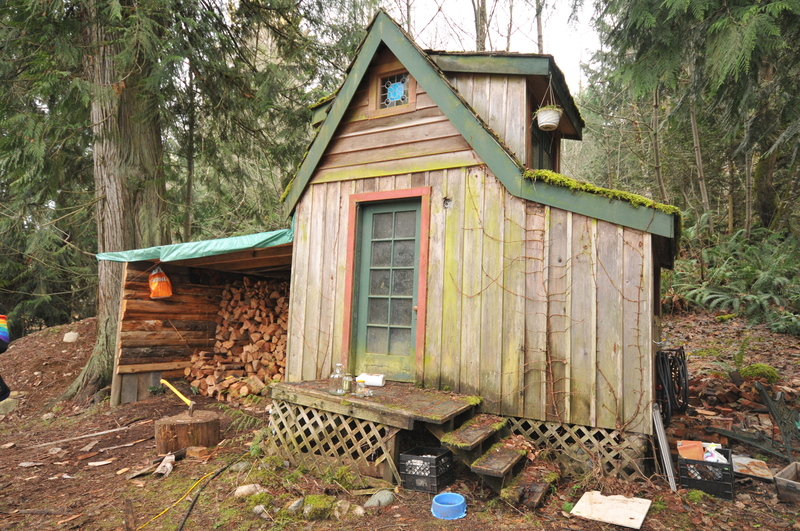 So much seemed familiar—the sound of the chickens clucking gently in their pen, the smell of freshly chopped cedar by the woodshed, all the small side projects scattered about in various stages of completion. It may not sound like much to some, but I could definitely settle in to a life like that. Even before taking this trip we’d spent many late, wine-filled nights talking about a simpler farm life with our caretaker friend. Experiencing it in the flesh stirred up those thoughts even more. 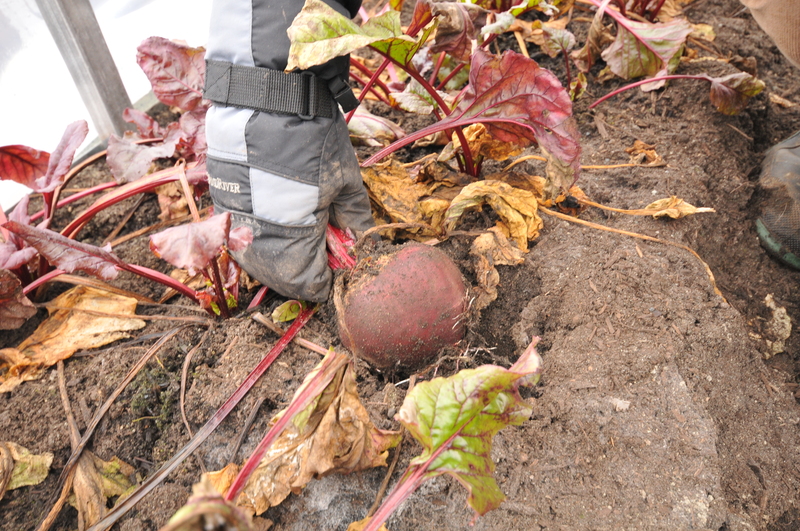 Even in the cold winter months the farm was still running in some areas. 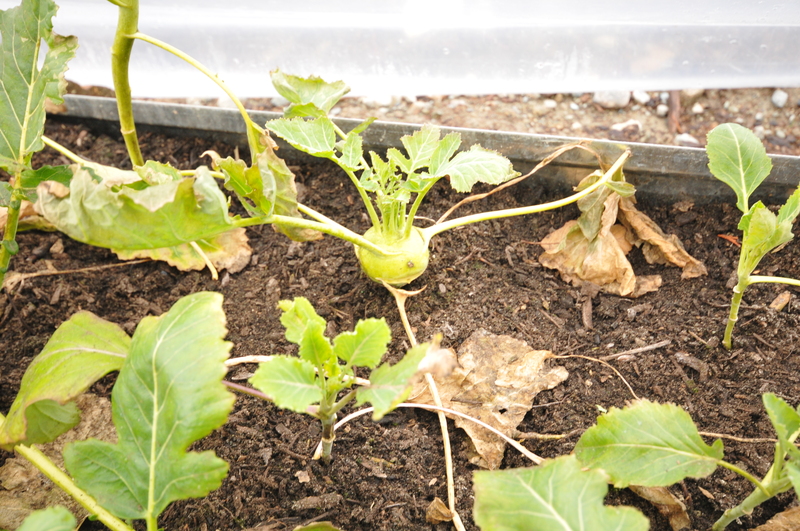 The owners had two large greenhouses and one was planted entirely with garlic, the other with sections of kale, beets and kohlrabi. It was so hot and humid in the greenhouses that we lingered inside for awhile, basking in the warmth as we sipped our afternoon beer. Outside in their vegetable patch the soil was mostly dormant except for a few rows of leeks, Brussel sprouts, and overwintering herbs. 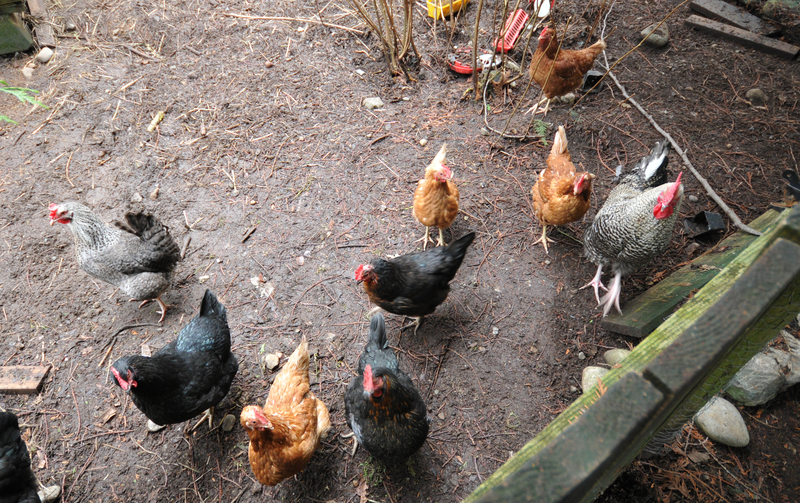 Their brood of a dozen chickens was enough to give them a constant supply of fresh eggs but the turkeys and pigs were no longer around. Inside the farmhouse in their food pantry were seemingly endless rows of dried, prepared and bottled herbs and vegetables, obviously grown and preserved by the owners themselves. I can only imagine how satisfying it would be to produce that much food by our own means. 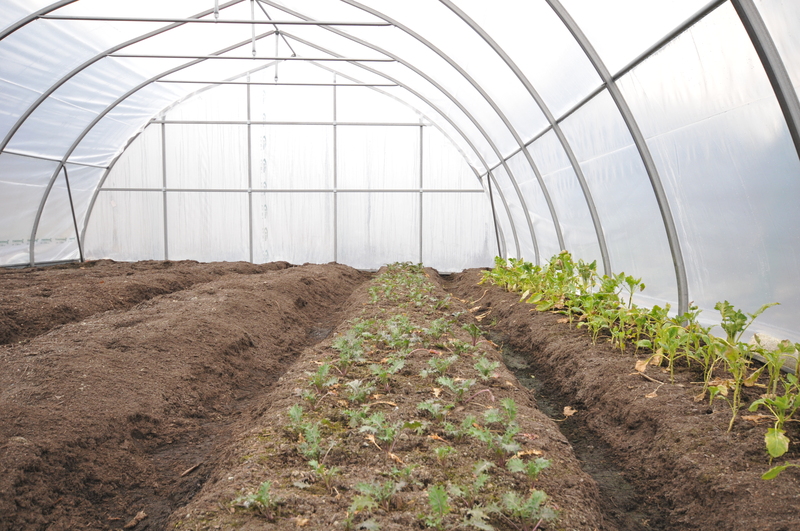 I have always loved the idea of life lived on a farm, working the land for a living. As a child I would pretend we were in pioneer times, building log cabins and churning pretend butter, planting and harvesting crops as the seasons passed. Now, even though we live in a very urban condo complex, I still try to keep one foot in that world by growing my own container vegetables, a balcony farm of sorts. It’s satisfying in many ways but I still yearn for my own plot of land. I know that dream will come true, one day. My mother-in-law always tells me that I’m a repressed farmer at heart. I’m beginning to think she’s right! Enjoy reading Delicious Travels? Sign up to receive new posts by email.